Applebaum describes in devastating detail how political parties, the church, the media, young people's organizations - the institutions of civil society on every level - were quickly eviscerated. She explains how the secret police services were organized, how the media came to be dominated by communists, and how all forms of opposition were undermined and destroyed. Ranging widely across new archival material and many sources unknown in English, she follows the communists' tactics as they bullied, threatened and murdered their way to power. She also chronicles individual lives to show the choices people had to make - to fight, to flee, or to collaborate. Within a remarkably short period after the end of the war, Eastern Europe had been ruthlessly Stalinized. 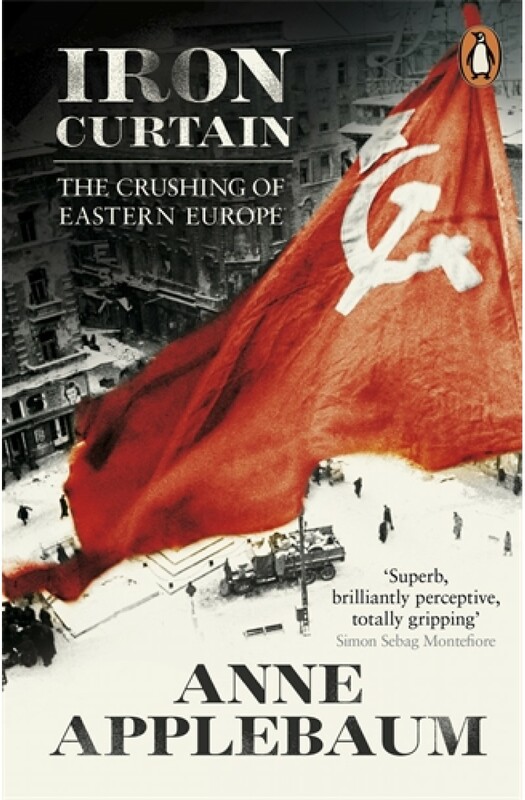 Iron Curtain is a brilliant history of a brutal period and a haunting reminder of how fragile free societies can be. Today the Soviet Bloc is a lost civilization, one whose cruelty, paranoia, bizarre morality, and strange aesthetics Anne Applebaum captures in the pages of this exceptional work of historical and moral reckoning.